Sailor Spot Dress https://www.review-australia.com/asia/sailor-spot-dress/RE19DR216.RENVY026.html Say hello to the Sailor Spot Dress this season and you'll be bringing a playful yet polished look to your wardrobe. This sweet and versatile printed dress is a regular fit and flare silhouette with a fitted v-neck bodice and pleat seam detailing. 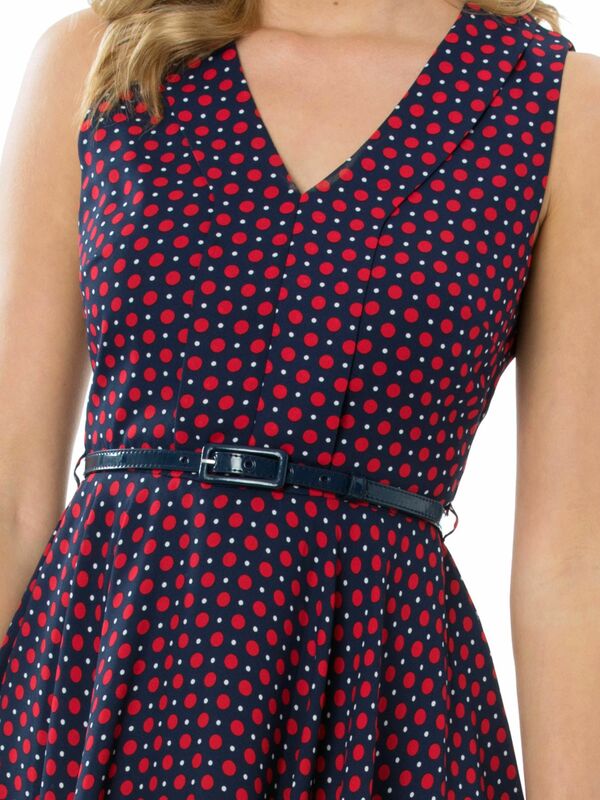 Bursting with graphic polka dots in red, navy and white ?it'll work from the office to events and more.